Kormas originate in North India and appeal to all taste palates, ranging from mild to medium-hot which makes them a family-friendly dish. They typically feature a gravy made of onions, green chilies (optional) and fragrant whole spices like cinnamon, cardamom, cloves, coriander, and cumin. In this Badami Murgh Korma, the almond meal adds extra depth, flavor, and richness. A deliciously filling meal, this tastes great with bread like Chapatis (flatbread), Parathas (pan-fried flatbread) or Naans (leavened flatbread made baked in a tandoor or oven). 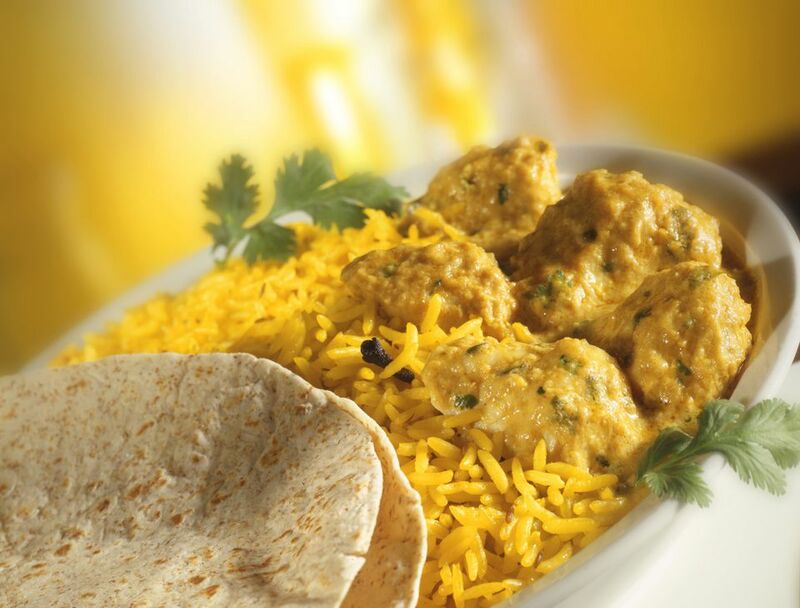 Put the chicken, yogurt, salt to taste and turmeric powder into a deep mixing bowl. Stir to mix well and coat all the chicken completely. Keep aside to marinate for an hour. When the chicken has marinated, heat the vegetable/canola/sunflower cooking oil in a deep, heavy-bottomed pan over medium heat. When hot, add the onions and fry till almost pale golden. Add the ginger and garlic pastes and fry for 1 minute. Stir often to prevent burning. Add all the whole spices (cinnamon, cloves, peppercorns, mace and cardamom pods) and fry for 1 minute, or till spices are slightly darker in color. Now, add all the powdered spices (coriander, cumin, red chili and nutmeg) and fry till the oil begins to separate from the masala (spice mix). Stir often to prevent burning. If required, sprinkle in a little water from time to time to prevent the masala from burning. Next, add the marinated chicken/yogurt/turmeric powder mixture and the almond meal and stir well. The gravy for this dish should be thick. Cover and cook until the chicken is tender. If you find the dish is getting dry or the chicken or masala is sticking to the bottom of the pan, add 1/2 cup of warm water and stir gently and thoroughly. Once the chicken is cooked, if there is too much gravy, reduce it by removing the lid and continuing to cook. When done, remove the pan from heat and put Korma into a serving dish. Garnish with chopped fresh coriander. Serve piping hot with bread like Chapatis, Parathas or Naans (leavened flatbread made baked in a tandoor or oven).